Your request for “The Kick-Start Guide to DIY Marathon Training” was received. 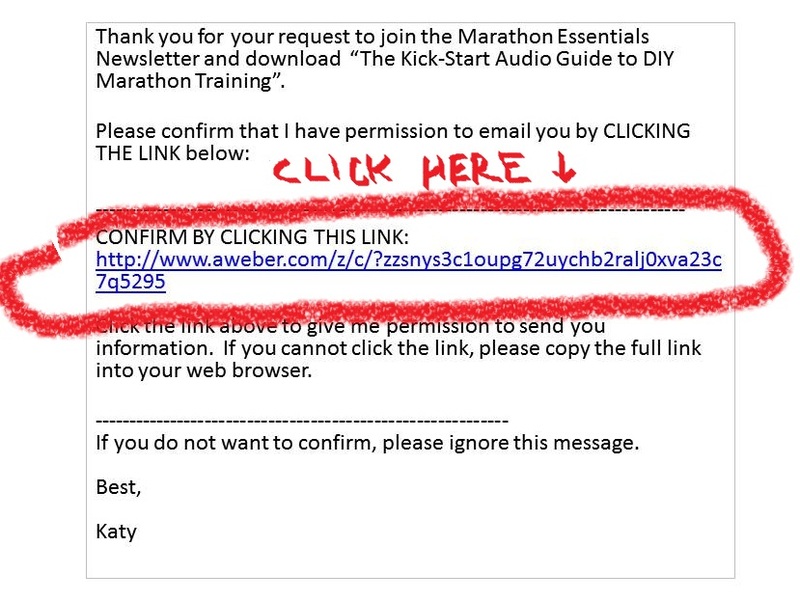 In order to confirm your request, you will receive an email (similar to below) with a link that you must click. After clicking this link, you should receive a second email with the guide. Please sign up again if you do not receive the emails. If for any reason you have additional difficulties, please contact me. 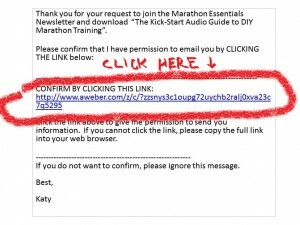 Please add my email address to your “allowed” list or contacts list katy AT marathonessentials.com to ensure that you receive my emails.